With so much information out there on how to take care of ourselves, it’s easy to become confused by all the jargon! 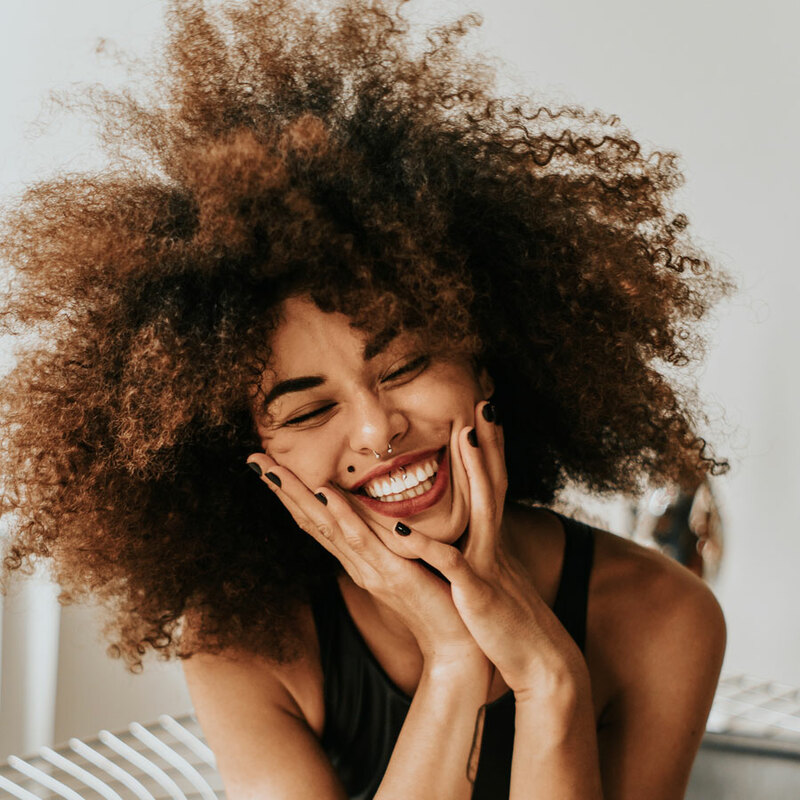 We believe that self-care doesn’t need to be a chore, so we’ve broken it down into three simple terms: happy, healthy and mindful. If you’re stressing over how to de-stress, put down the dictionary and read our tips on how to find total health and wellbeing. Inner happiness isn’t about grinning like a Cheshire cat every day. It’s about feeling contented with yourself, which you can encourage by creating a better environment, and learning to love yourself. We’ve all heard cliché that, to love others, you need to love yourself,but it’s true! Loving yourself is more than just spa days: it’s about self-acceptance. This isn’t the same as self-esteem, as that concerns measuring your “worth” as a person. Self-acceptance is, quite simply, understanding every good quality and flaw, and accepting them anyway. Robert Holden, author of Happiness Now!, says: “Happiness and self-acceptance go hand in hand. In fact, your level of self-acceptance determines your level of happiness. Think about your best friend. You know this person inside out, warts and all. You know they’re clever and thoughtful, but you also know they have a bad temper. Do you still love them? Of course you do – and they love you just as much, in spite of your bad habits. If their “flaws” don’t bother you, then neither should your own! Try channelling how you feel about your friend into yourself. This is a first step towards self-acceptance, and ultimately, inner happiness. Create a happier environment by surrounding yourself with people who encourage and inspire you. This will help you to realise that you truly are unique, and can achieve anything you set your mind to. Now that you know how to accept yourself on the inside, don’t forget that your physical health needs a little TLC too. It’s common knowledge that when we feel good inside, it shows – happier people have more energy, brighter skinand infectious smiles. But did you know it works in reverse too? There’s a reason your Zumba class makes you feel so good: exercise releases endorphins, increasing mental alertness and energy. We all feel better when we look our best, so take time to invest in your skin for overall health and wellness. This isn’t limited to the bathroom cabinet – your bed will help you too! Getting adequate sleep is essential for repairing the day’s damage, restoring moisture to our cellsand helping to eliminate toxins. Catching 40 winks is one thing, but we need to be aware of changes to our bodies, too. As we get older, our natural collagen levels start to fall. Collagen helps to maintain the skin’s suppleness and prevent wrinkles, so try three daily chews to protect the skin, joints, hair and nails, while maintaining a youthful glow. You can also try drinking more water and adding more prebiotic fibre to your diet. This feeds your tummy’s “good bacteria”, aiding better digestion and supple skin. All it takes is a bunch of bananas and some daily supplements. Up there with all the confusing self-care terms is “mindfulness”. You don’t have to be well-versed in Buddhist culture to embrace mindfulness; it’s actually a very simple concept. Being mindful simply refers to total awareness of the present, understanding what is going on around us but not reacting to it. We’re often so consumed with anxiety about the future or overwhelmed by everyday stresses, that we don’t step back and look at the bigger picture. Remember, despite the name, mindfulness is as much about the body as it is the mind. Next time you’re alone, listen to your breathing and feel each part of your body. This will help you to better understand your surroundings, without trying to forcefully “calm the mind”. If your mind wanders, don’t stress. This is totally normal – just bring it back to the task in hand. A little quiet reflection reduces anxiety, increases energy and even benefits our skin.We all deserve total health and wellbeing, so take a step back, nourish mind and body, and most importantly, love yourself!